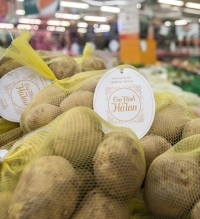 Gia Đình Hà Lan potato brand launched in major supermarket, wholesale markets and canteens in Vietnam. Walk down the supermarket aisle and you will find shelves full of products with familiar logos such as Lays, Dannon, and Coke, but look around the fruit and vegetable section and how many familiar brands do you see? Walk down the supermarket aisle and you will find shelves full of products with familiar logos such as Lays, Dannon, and Coke, but look around the fruit and vegetable section and how many familiar brands do you see? Fresh Studio dug deeper into the presence of local fresh produce brands in one of Vietnam’s largest modern retail markets, Ho Chi Minh City, where surveys of 82 supermarkets and hypermarkets were conducted. The study encounters a fragmented market where the presence of product branding depends strongly on both the type of product and the store where it is sold. Can traders and producers of fresh food products break out of the commodity trap and differentiate their products from the rest of the market? Are they even trying? 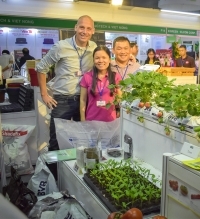 To gain a better understanding of how fresh fruit and vegetable producers, traders and the retailers are selling their products in Ho Chi Minh City’s supermarkets, Fresh Studio designed and executed a survey to evaluate the presence of branded vs non-branded fresh fruits and vegetables from the domestic market. First and foremost, a measurement system including classifications for shelves and products and measuring methods was developed. For instance, as shown in Fig. 1, standard shelves, premium shelves and standing refrigerators are found to be the most common types of display shelves. However, the sizes of similar shelf types vary between different supermarkets and supermarket chains, requiring that a uniform method of measuring be devised that can work regardless of store and shelving configuration. To devise this method, a market observation was conducted prior to the survey. During this observation phase, proper definitions and classifications of product branding and/or labelling were also developed to ensure that information was captured uniformly across all locations and all products, regardless of who was doing the measuring. The quality of data was highly guaranteed by the tablet-based data collection method and a skilful fieldwork team. The survey was programmed on a real-time platform with validation checks that allowed the FS team to monitor the data collection progress and to control the submitted data quality. Enumerators experienced in working in the F&V zones were recruited and trained on the survey methodologies and how to input data in the tablets. The F&V zones are usually divided into three segments: fruits, vegetables and fresh cut fruits. Each category contains a diverse range of products. Therefore, to gain meaningful insights for the client, we tailor-made our survey content to focus on their top selling products. As a result, the floor space allocation of 24 products across 5,723m2 of total F&V display area in 82 supermarkets was measured during the survey. For each of these products the floor space allocation by product and for branded and non-branded products was measured. This provided a clear overview of which product types are being sold as branded products, which brands are active in the fresh fruits and vegetables sector and for which products these brands are active. Insights with respect to the presence of branded vs non-branded by retailer were also gleaned from the study. Banana is the most popular fresh produce studied with a total display area of over 90m2 and was found in 75 out of 82 supermarkets. It is also one of the most intensively branded products with 15 brands. Banana producer and supplier companies can track how their products are distributed across SM chains (or at the supermarket store level), their brand share of shelf space and their key competitors’ performance. The results also showed unit price - an indicator to compare one brand’s performance to the others. Fresh Studio is the leading consulting and R&D firm in Southeast Asia focussing on agriculture and food. 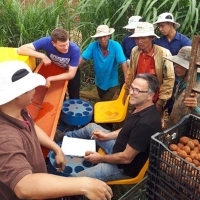 Our mission is to make our clients successful in the sustainable production and marketing of food. 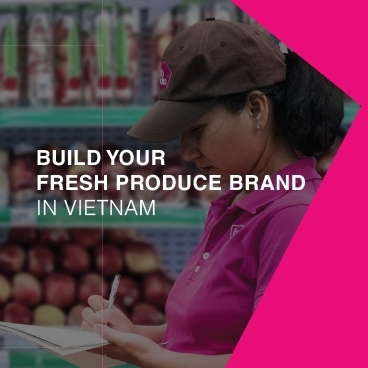 With a thorough understanding of the retail sector in Vietnam, Fresh Studio develops solutions that provide producers and companies insights into the fresh produce market. Combined with expertise in consumer marketing, our clients gain insight into the current market, existing opportunities, and the factors that drive customers’ decision-making, providing actionable insights that can be used to drive the development of their brand in the retail market.